Cub Creek Science Camp is the only summer camp for kids in the country with a hands-on, interactive zoo. 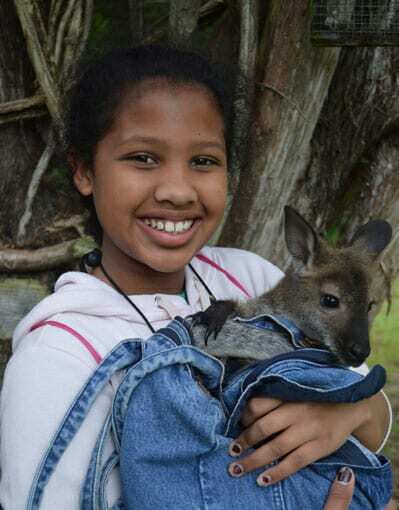 With more than 300 animals and over 100 species, our overnight summer camp is an animal lover’s paradise. No other sleepaway camp can say they are an animal camp, science camp, adventure camp, vet camp, nature camp, while still offering all the traditional summer camp activities such as swimming, fishing, hiking, arts and crafts, ropes course …. We are a truly unique summer camp experience. At the end of the day, we love that we can provide a unique experience for all of our campers, but what we want most is to provide a safe place for all kids to be themselves, make friends, and grow their passions. Our unique summer camp for kids is accredited by the American Camping Association (ACA). This accreditation means that because we prioritize our campers safety, we voluntarily go through an indepth review of all of our operations (over 300 standards). From staff qualifications and training, to emergency management and program safety, we want to ensure that our program meets the highest standards. The American Camp Association collaborates with experts from the American Academy of Pediatrics, the American Red Cross, and other youth service agencies to assure that current practices at the camp reflect the most up-to-date, research based standards in camp operation. Camps and ACA form a partnership that promotes summers of growth and fun in an environment committed to safety. To read more about ACA and how their standards apply to our camp, click HERE. Scott and Lori Martin, the owners and founders of Cub Creek Science Camp, met in 1985 while working at an overnight summer camp. They married in 1988 with Scotts promise to Lori that he would never tell her “no” to an animal, and her promise to only have animals that she could care for appropriately. In 1993, Lori decided to use her love of nature, animals and children to develop a small summer camp for kids that would focus on the natural curiosity that she loved nurturing in children. What started during her vacation time from her full time job, grew into a year round operation, far exceeding their dreams. In 1999 the property now known as Bear River Ranch was purchased. Scott left his full time job, to use his background in engineering, for the design and construction of their dream sleepaway camp. Cub Creek Science Camp moved from Babler State Park to Bear River Ranch in the summer of 2001. Over the past 25 years, camp has continued to grow, change and improve. Our newest buildings include the staff lounge and art studios (introduced in 2013), lemur island (introduced in 2013), and our beautiful dining hall. Camps newest building, the dining hall, served its first meals in the summer in 2016. For the first time in many years, all of camp could eat meals together. And for the first time in camp history, campers were able to eat their meals alongside one of camp’s favorite animals, Ring-tailed Lemurs! We’re proud of our camp’s history! It is a true depiction of following your dreams, dedication, and making a contribution to the world that benefits all. We hope that everyone who comes here is inspired to do the same. 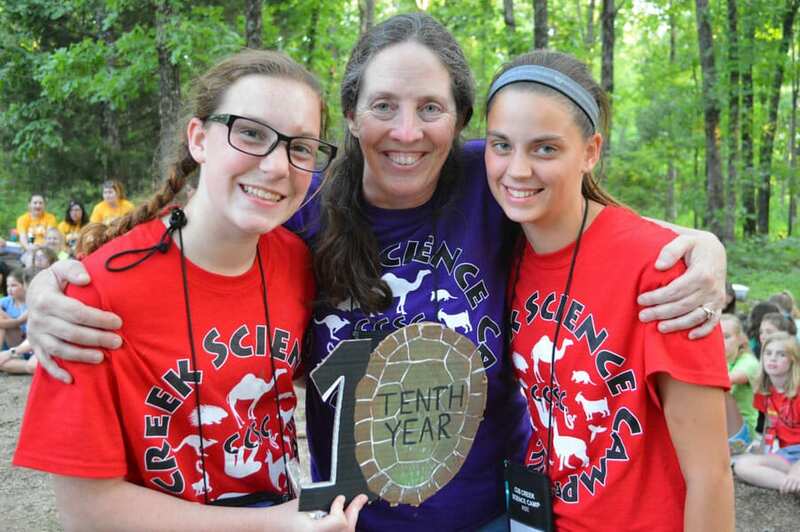 Whether you call us an overnight camp or a sleepaway camp, we think you will agree, that Cub Creek Science Camp is a pretty amazing summer camp for kids. ~ We hope to see you at camp! Meet the team of people who work to ensure that each summer is a great experience for every camper. Just want to talk to us? Click here to write us an email, ask any question, or give us a call! Camp is easy to find from almost anywhere. Use our directions from nearby cities, or use the integrated Google map. Get familiar with camp through this illustrated map! A new interactive map will be coming soon! Check out our camp photos taken by camp's full-time photographers! It'll be like you're right here with us! New! New! New! - We're so excited to share this new component of camp! Keep up to date with camp news and read about what's on our minds here! Request your free camp brochure today! Click below to have one mailed to you or read it right here on the website! Follow us on Facebook, Instagram, and more to stay in the loop and to keep in touch! Click the button below to start planning your summer with dates, rates, and session availability.